Watch this 2011 Unreasonable Institute entrepreneur share how his startup has created a device that can prevent a disease that currently takes the life of a mother and a child every minute in the developing world. Watch this Unreasonable Institute 2011 entrepreneur share how his social enterprise tech company has the potential to make a huge social and environmental impact by providing an affordable solution to a problem that affects 2.5 billion people. Watch this Unreasonable Fellow 2011 talk about how his startup is set out to help people make their passions their professions. 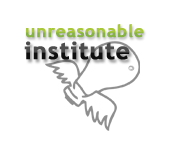 Watch this 5-minute Unreasonable Institute Fellow 2011 talk about how his venture is set out to improve the lives of 100,00 Liberians by providing clean energy to off-grid Africans.